Please submit a reservation request by filling out the information below. 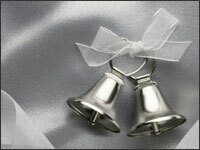 After you submit a reservation request, Live Vows™ will contact you to discuss your wedding. Once all the details are confirmed, a 10% deposit will reserve your wedding webcast. Having trouble with the contact form? Try contacting us by email or phone. ** Having trouble with the contact form? Try contacting us by email or phone.